Ever needed to write, but you just couldn’t? There are a lot of distractions out there, both online and off. Pesky interruptions from family members who have the nerve to crave your attention. Those fun LOLcats. Bejeweled. Choose your poison. There’s also so much to know about how to write compelling online content. Always one more newsletter to read, one more great blog post to study. In a word, you’re overwhelmed. There’s too much information, too many distractions, and it’s hard to clear the decks and get in that creative place where you can do your best writing. 1. Find your quiet time. It might be early in the morning or late at night, or while you eat lunch. But somewhere in your schedule there’s a time when it’s naturally less frenzied. Set aside that time strictly for writing. 2. Unplug stuff. Turn off the radio, and the email chime that dings every time you get a new message. If necessary, switch off the computer. Try hand-writing on a pad of paper or using an old typewriter if that will get you away from your online time-wasters. 3. Declutter. It’s hard to clear your head if your desk is piled to the sky with papers. Remember — think files, not piles. 4. Change your scene. If you can’t get anything done in your usual spot — whether the office or your back bedroom — try somewhere else. Hit a coffee shop or a coworking space, or sit in a park. 5. Delegate. If you have some administrative tasks you could either offload or postpone to clear the decks for writing, do it. Too much time pressure can backfire and mean nothing gets written. 6. Realize you’re good enough. You’ll learn more about how to be a better copywriter another day. For now, you do your best based on what you know. Spit out a first draft and save the rewrites and critique for after you’re done. 7. Set a timer. Block out an hour or even a half-hour where you commit to do nothing but writing. Don’t get up or turn to other tasks until the time is up. You may be surprised how much writing you can crank out once you’re forbidden all other activities. How do you focus and get the writing done when you’re overwhelmed? Leave a comment and add to my list. 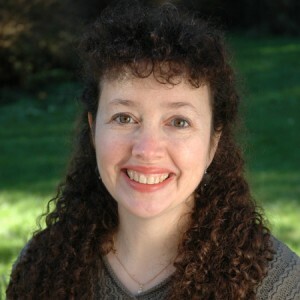 Carol Tice writes the Make a Living Writing blog. Together with Linda Formichelli of The Renegade Writer, she’s created a free Webinar about the 10 biggest obstacles freelance writers face (and how to overcome them). You can check it out through Thursday. Click here to access the free recording! What do you mean by one project? Like, focusing on one chapter? One scene? I’m more overwelmed with the fact that I have so many ideas running in my head that I don’t know how to put all the pieces together so that it all makes sense. And I’m even more overwelmed that I have no direction. I have no clue where I want to go with the story and until I do, I literally can’t write. One of the downsides of creativity is that we often have too many ideas to pin down. Sometimes I will pick one project to complete but have a list of “other ideas to consider later” as a new idea threatens to derail the current project, I capture it on this list, knowing I’ll look at it later, but can then refocus on the job at hand. Something similar might work for you? Sometimes you know what you want to say but don’t know how to say it. What helps me is turing that statement into the form of a question. Then you try to answer that question. That usually dissolves writers block for me. Hey Jeiselle – I really like the idea of that, any practical apporach to looking at solving the problem in a new light is really useful. Thanks! Number one is so incredibly important to me. By setting aside a specific time just for writing, it’s like being able to train your brain to instantly get productive at that time. I also found it was helpful to choose that time based on my body’s natural clock instead of imposing an arbitrary time. For me that turned out to be 1am – 5am, which I never would have chosen, but has worked fantastically since I was 15. Sounds good, unless you have a day job you have to get to in the morning! I’m a big fan of using chronobiology to choose your writing times. For me it’s morning until lunch. Then there’s a big creativity slump until around 4-6 pm, and 8-midnight’s good, too. Hey Daniel – always lovely to see you here. I’ve just restarted setting a quick time for creative writing every day and you’re right, it really focuses your brain to anticipate that session coming up. If you make it non-negotiable it soon becomes as routine as burshing your teeth.